The oldest evidence that beer was brewed in Germany comes from around 800 B.C. By the second century, beer was being traded commercially in Germany. In 1516, Duke Wilhelm IV of Bavaria enacted the Reinheitsgebot, or the “Purity Law,” which regulated the brewing of beer in Germany. The town of Solingen, known as the cutlery center of Germany, also enacted strict laws for the manufacture of knives and shears. 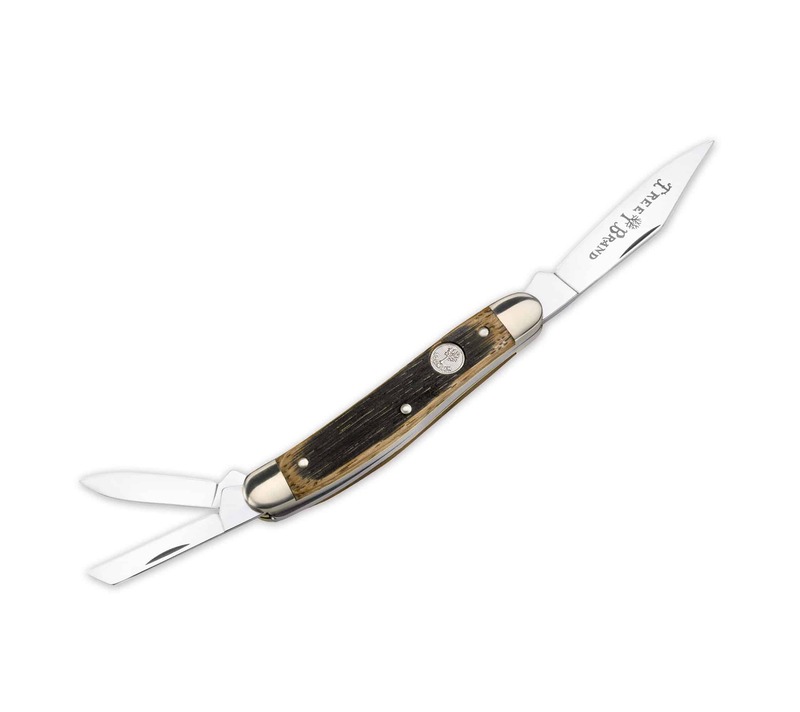 While Boker is not quite as “aged” as the brewing industry, the same quality standards apply. To commemorate this common interest, Boker is introducing a series of traditional pocketknives with handles made from genuine German ale/beer barrels, handcrafted in the Solingen factory. Each pattern will include solid nickel silver bolsters, brass liners, carbon steel blades and the resurrected old Tree Brand blade etching. A great item for the collector or everyday user. 3 1/2″ closed.